We are so excited to offer our clients the services of two new partners; Cerra Wyatt of Spread the Love Babywearing Education and Jasmine Giourmetakis of Honey Lime Photography. 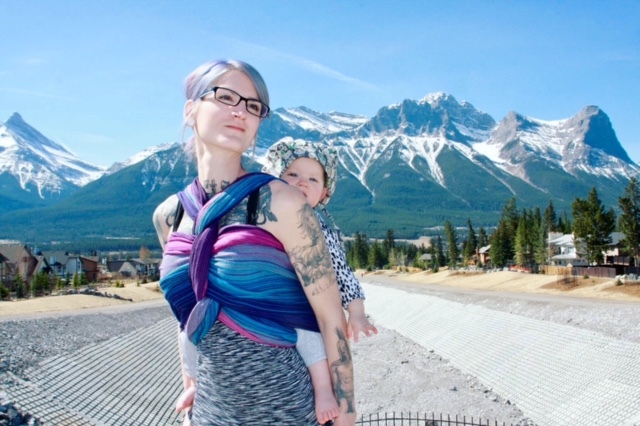 We are thrilled to be able to offer clients who are interested in babywearing an option to learn. As well, we are pleased to offer another photography option for our clients. Baby we aring entered my parenting journey in 2014. Our family was expanding, I needed a way to keep up with two older children and keep an infant close. Feeling the bond and closeness, it became more than a parenting tool. It became my passion! I knew very early on I wanted to become an educator. I love sharing the knowledge of how beneficial wearing can be and teaching parents how to safely and comfortably wear their baby. Exploring different carries and trying new carriers can be overwhelming alone, my goal is always to make it as stress free and fun as possible. Watching the beginning of every different wearing journey is beautiful and I am honoured to be there to watch it begin! We look forward to working with these lovely ladies and know you will as well!